As a computer programmer and business owner my Logitech K800 Backlit Keyboard is one of the most important tools in my daily life. I spend hours every day in front of a desktop computer working on projects, emailing and messaging coworkers, planning and budgeting, you name it. And as someone who has used some pretty terrible keyboards I can attest to how difficult it is to get work done when you’re constantly struggling to type. Have you ever helped out a friend or coworker and used their keyboard? Doesn’t it feel weird and completely foreign? I first heard about this keyboard from a coworker who raved about the key action or key press. You can read more about the different types of keyboard technology at Wikipedia. You’re probably familiar with “mechanical keyboards” and the loud clickity-clack sounds they make. If your coworker uses one of these loud AF keyboards then we’re sure that you’re REALLY familiar with them. You probably also know a lot about noise-cancelling headphones too. So when a coworker told me about the Logitech K800 Backlit Keyboard I was skeptical and tried it out in our local Best Buy before committing to buying it. The first thing you notice is the very smooth and quiet typing. The keys are easy to press without a lot of resistance but give enough tactile feedback that you know you’ve hit them. In contrast, I’ve used some Mac keyboards where I didn’t realize if I actually made contact with the keys or not. I don’t normally mention reviews from other people but in this case I found A LOT of reviews that matched our sentiment. At Amazon, there were a significant number of people that loved the keyboard so much that they bought several, just like I did. I purchased one for home, one for work, and when one breaks or gets an entire vodka drink spilled into it (again) I immediately go to the nearest store and get another one. But the reviews at Amazon also had some of the same gripes that I do. The keyboard is somewhat expensive and is a little fragile especially if you try to fix it yourself. So price and durability are concerns but apparently this keyboard is the bees knees because people have bought upwards of 10(!) of them in their lifetime and it was originally released in 2010. I would wholeheartedly agree. If my K800 keyboard broke right now I would immediately order another with 1-day shipping if I couldn’t make it to a store. The Logitech K800 Backlit Keyboard comes with laser-etched brightly backlit keys with illuminated characters for easy typing, even in the dark. Compatible with Windows XP, Windows Vista, Windows 7, Windows 8, and Windows 10. Probably some other windows too. The PerfectStroke key system makes every keystroke more comfortable, fluid, and quiet. No batteries needed: recharge quickly with the included universal micro-USB cable. Powerful 2.4 GHz wireless connection with one tiny Unifying receiver that stays in your computer. Works with Windows-based PCs, including Windows 10. Easily pair with other Logitech devices through a single Unifying USB receiver. Look for the orange “unifying” icon for compatible devices. 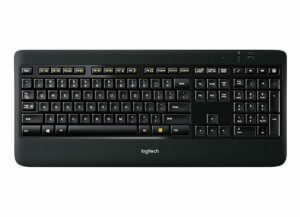 The only con I have about the Logitech K800 Backlit Keyboard is that it’s wireless. Yes, wireless is a con because I will never ever use it as a wireless keyboard. The USB charger that comes with the keyboard is only used for charging. 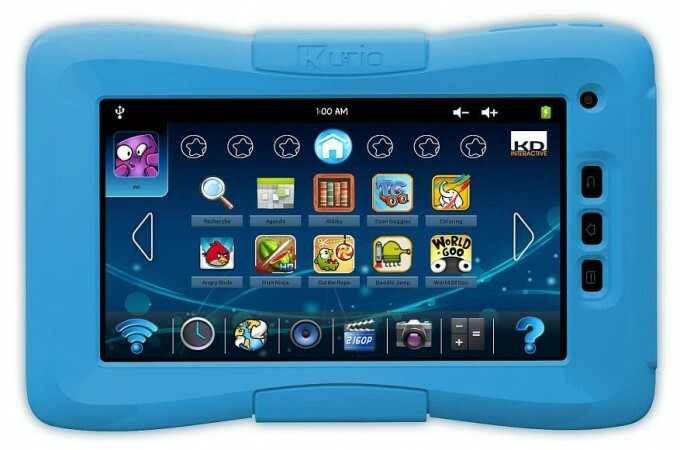 It doesn’t provide any communication between the computer and the keyboard — that’s what the Unifying receiver is for. So I just leave the USB charging cable connected 24/7. I would prefer if it used a wired connection because I don’t really need the Unifying receiver. I haven’t listed durability as a con because I really haven’t had any trouble with durability. I occasionally get some crumbs or dust in it and use compressed air to blow it out. Other than accidental drink spills I haven’t had any problems at all! 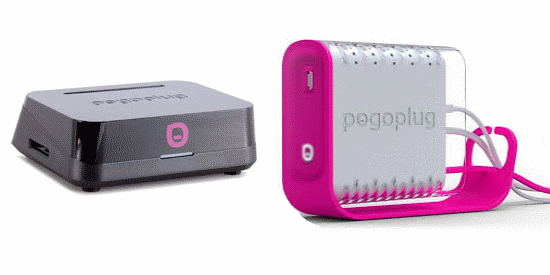 Pogoplug: Is it really everything it is meant to be?